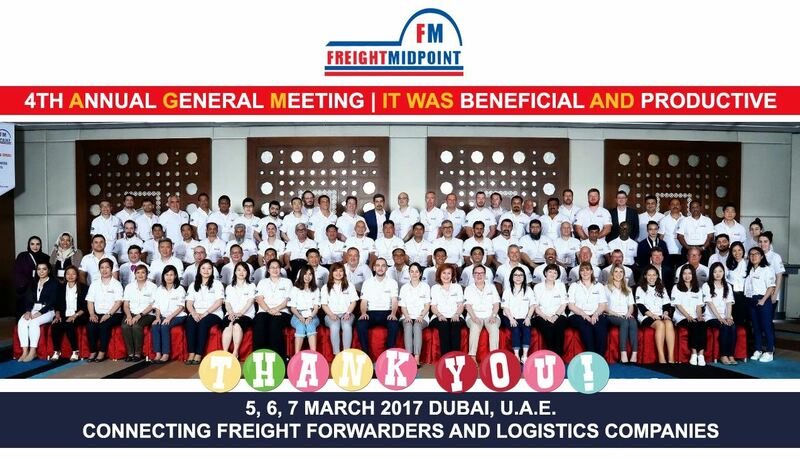 Freight Midpoint International Forwarders Network has recently concluded its 4th Annual General Meeting with a great success! The event was held last March on 5, 6, 7, 2017 at the beautiful Radisson Blu Hotel, Dubai Deira Creek, U.A.E. 97 delegates attended to the conference representing 70 companies from 36 different countries to know more about the network and strengthen their business relationships with fellow members. FM 4th AGM officially opened with meeting registration on 5 March 2017. Everyone came to registration area to register and collect their conference kits. In the evening of March 5, we had our Welcome Cocktail reception at the Pool Deck. Lucky Draw took place in Welcome Cocktail, Mrs.Laura and Mrs.Tammy from MTI Worldwide Logistics, as Welcome Cocktail sponsor, made the drawing and announced Mr.Michael Felsinger from Trademark Logistics International, Australia as the winner of the year. Mr.Michael won a new Samsung Galaxy Note 5 and cut legendary FM cake as the winner, which is a tradition in our meetings. 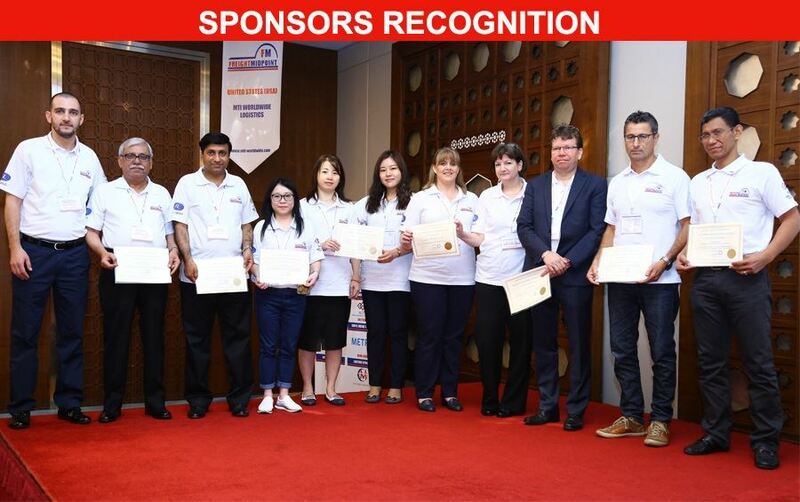 After that Mr.Kemal asked delegates if they believe a second chance in life and draw another business card from the raffle drum and then announced Mr.Saurav Anuj from Leo Global Logistics, India as the winner of complimentary one delegate pass to the next AGM. Afterwards Mr. Kemal asked if they also believe a third chance in life. Quite funny thing is more people raised hands and Mr. Kemal draw another business card. The prize was one year complimentary membership and Mr.G.D.Khan from Prime Logistics, Qatar won it. It was an evening of fun and delegates were able to not only reunite with their old FM friends but also meet new ones. On 6 March 2017 Freight Midpoint Chairman Mr.Kemal KIRIKKANAT welcomed the delegates and invited our first guest speaker Mr.Mohsen Ahmad from Dubai South to the stage. Mr.Mohsen, Vice President of Logistics division made presentation about Investment Opportunities in Dubai for Logistics Industry. Following Mr.Mohsen’s speech Mr.Kemal invited our second guest speaker Ms.Nadia Abdul Aziz from National Association of Freight and Logistics (NAFL) to the stage. She made presentation about NAFL and Dubai Logistics industry. Both of the speeches helped our members to understand much more about Dubai role in freight forwarding, logistics and shipping industry. 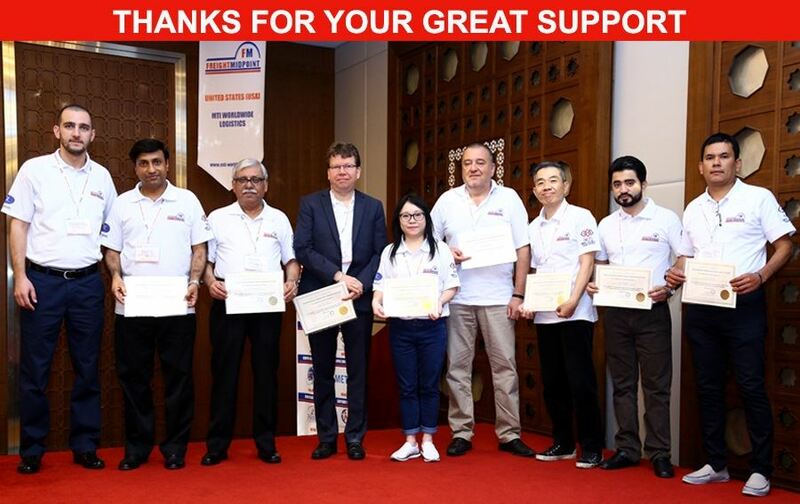 After all presentations Mr.Kemal thanked Freight Midpoint 4th AGM sponsors and invited them to the stage to give their sponsorship certificates. Then Mr.Kemal thanked delegates, who recommended some companies and contributed to the expansion of Freight Midpoint. Certificate of appreciation was given them for their supports. On 6 March and 7 March 2017 hundreds of face-to-face meetings were scheduled between the delegates. During these meetings, delegates were able to introduce their company and highlight their specialist areas, discuss cross trade and potential collaborations as well as provide information regarding their country’s regulations and requirements. It was the time to rekindle the friendship of members and start to develop new business and ideas. After the busy one to one meetings, all delegates were invited to a magnificent Gala Dinner at the Plaza Ballroom, where delegates enjoyed the taste of delicious international foods along with a enchanting view of Dubai. Delegates had the chance to capture the magic of the views of the creek and city skyline while having international buffet dinner, enjoying live band, belly dancer show and meet with other delegates in a non-business environment. It was the evening of fun and relax. Thank you for attending and being a part of successful Freight Midpoint 4th Annual General Meeting! Looking forward to seeing you at FM 5th AGM! Please like our page and feel free to tag yourselves and your friends to share your Freight Midpoint experience. If you couldn't monitor FM 4th AGM photos from facebook, you can find us on the flicker.